"Early in 2000, Peggy Noonan wrote an anti-Hillary polemic entitled "The Case Against Hillary Clinton." Notwithstanding the similarities of our titles, I'm not trying to go argument-for-argument with her, any more than I'll be trying to speak for Hillary herself. I envision my readers as people of good faith, open to argument. And I will try to wrestle with all the arguments in that same good faith." When this book was written in Aug. 2005, the author was making the case for 2008. We review this book now because the identical case for Hillary will be made in 2012 or 2016. The book is a strongly pro-Hillary pro-Democratic party argument that Hillary would have the best chance of winning the election. The author's perspective is a staunch Democrat with a feminist activist's outlook. Estrich was the first female campaign manager for a major presidential candidate (Michael Dukakis is 1988) and she is currently a political commentator for Fox News. Some of the author's "case" proved accurate, and some did not. For example, Estrich correctly predicted that Kerry would enter the 2008 presidential race and would drop out early (p. 154). But she failed to predict the rise of Barack Obama -- he is not even mentioned in this book -- despite the murmurings that began immediately following Obama's 2004 Convention speech. On the Republican side, she incorrectly predicted that George Allen would be the GOP frontrunner (p. 179) and dismisses McCain as too moderate to win the GOP primaries (p. 177). We think this poor prediction record proves more the fickleness of politics than the lack of astuteness of the author. Perhaps Estrich will update this book in 2011 or 2015. If you'd like to read the early argument for Hillary's race then, it's pretty much the same argument that Estrich made in 2005. Hillary Clinton: Government should have no role in abortion decision. Rudy Giuliani: As mayor, supported public funding for abortion. Hillary Clinton: Create a pipeline for more women in leadership. Hillary Clinton: Teen abstinence is the right thing to do. Hillary Clinton: I've spent 30 years worrying about impact of media on kids. Hillary Clinton: Obligation to support Israel with more than foreign aid. Hillary Clinton: Support UN reform because US benefits. George W. Bush: OpEd: Not interested in bringing best people to government. John McCain: OpEd: Led campaign finance reform because of Keating Five. Hillary Clinton: Healthcare system plagued with underuse, overuse, and abuse. Joe Biden: Survived two aneurysms in the 1990s. Bill Clinton: OpEd: Fairy tale that Clinton emerged from nowhere in 1992. Carl Levin: MI more representative for early primary than IA & NH. Dianne Feinstein: 1984: Considered as V.P. by Walter Mondale. Evan Bayh: Leading champion of moving Dems to the middle. Haley Barbour: OpEd: Party chair & governor is strong combo for presidency. Jimmy Carter: OpEd: 1980 presidential debate lost election. John Kerry: Against Bush, did poorly with married women & older voters. Rev. Jesse Jackson: 1988: Won Michigan Democratic caucus. Ronald Reagan: 1980: Insisted John Anderson be in presidential debate. Ted Kennedy: Upon losing 1980 caucus: "33% of Iowa couldn't be wrong". Terry McCauliffe: Promised to change IA and NH's early primary lock. Al Gore: OpEd: Declining Clinton association in 2000 was disloyal. Bill Clinton: You can't win talking just to people who agree with you. Howard Dean: OpEd: Mastering political Internet means acting differently. Hillary Clinton: OpEd: Voting for war enabled criticizing how it was waged. John Edwards: Founded Center on Law & Poverty at UNC. 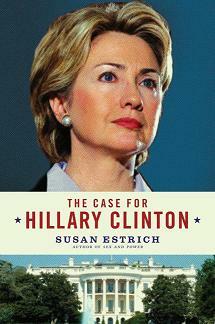 The above quotations are from The Case for Hillary Clinton, by Susan Estrich.